Taizé chants start my musical celebration of Christmas on Future Radio this Sunday, December 23rd. 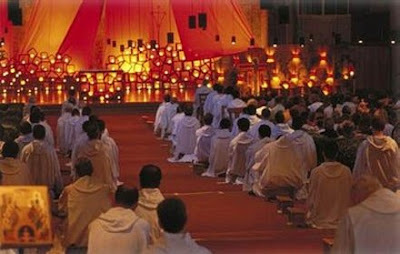 If you have not heard the music of Taizé before you are in for a very special experience. This is Gregorian Chant updated to the 21st century, it is music written for communal celebration, and it is the perfect way to start Christmas. My header photo shows the Church of Reconciliation in Taizé which we visited again this September. The second half of my programme is drawn from the arrangement of the Christmas Vespers by Rudolf Mauersberger that is sung every year by the Kreuzchor in the historic city of Dresden. The programme is broadcast at 5.00pm UK time on Sunday, December 23rd. Convert to local time here, and launch the audio stream here. Read more about the music of Taizé here, and the Dresden Christmas Vespers here. Now visit the green hill faraway called Taizé.